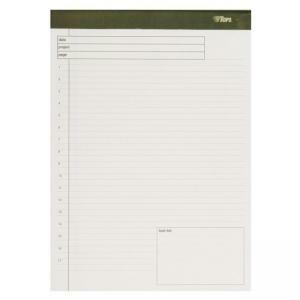 Media Size: 8.50" x 11.75"
Numbered planning pad is ideal for project notes and reminders. Ruled notes area is numbered 1 to 17 with two lines for each number. Design also features a title block at the top, unruled task list at the bottom and four square inch grid ruling on back for diagrams. Heavy 20 lb. white bond sheets are Letr-Trim perforated which leaves a clean edge when removed. 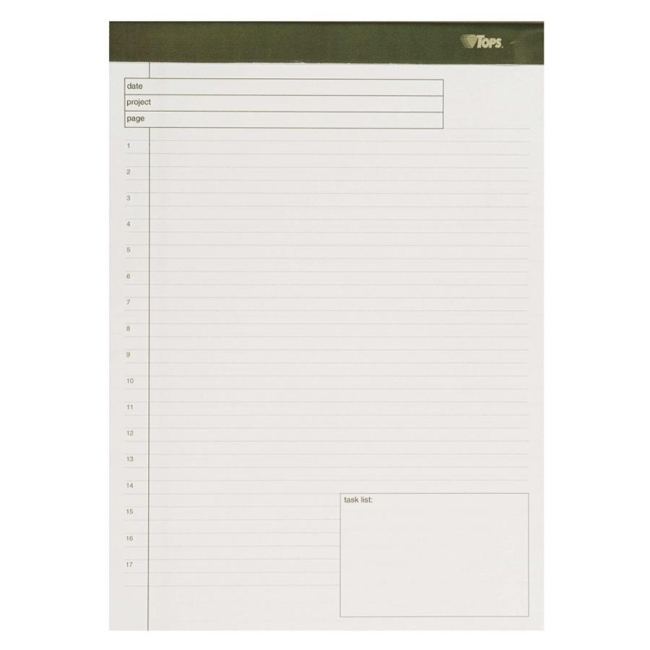 The heavy 60 point chipboard provides firm writing support. $7Tops Cross Section Pad - Letter 8.50" x 11"
$32Sparco Colored Pad - 8.50" x 11.75"